Plan for your future. Take care of those you love. With offices in Grand Rapids and Saint Joseph, we’re closer than you think! See what a holistic approach to lifespan law looks like for you! Contact Us directly by calling or clicking below! 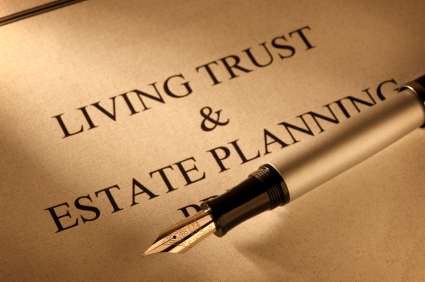 When people generally think of estate planning, the first thing that usually comes to mind is a will or a trust. At a basic level, both a will and a trust will dictate what happens to your property upon your death and who will be in charge of carrying out your wishes. For most people, a basic will is adequate to serve your estate planning purposes. In addition to allocating your property, your will can also designate who will be the guardian of your minor children and someone to manage their finances upon your death. Your will can also specify how your final expenses will be handled along with your burial requests. A potential drawback to dividing your estate through a will is the fact that, in most situations, your will will go through probate. 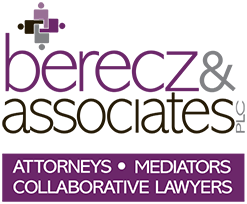 The probate process can take a few months to finalize and there are some costs associated with probating a will. Those costs are minimal, however, and most of the time amount to a fraction of a percent of your estate. A trust, on the other hand, allows for the probate process to be avoided and privacy to be maintained. Another benefit to a trust is that, depending on the trust created, estate taxes can be limited. For most people, this will not be a concern. As of 2013, your estate needs to be in excess of $5.25 million dollars to be subject to estate tax. For most people exploring the option of a trust, a revocable or living trust will be the best option. This type of trust usually provides that you are the trustee of the property during the course of your life and gives you the power to control the trust assets along with removing and adding assets to the trust. A trust can allow you to govern how your property or business will be handled following your death. Specifically, a third party trustee appointed by you will manage the assets of the trust on behalf of the beneficiaries upon your death. The main reasons a trust may be a better choice for you are if you want to maintain privacy (as there is usually no probate process and the trust is not a public document), if you want to reduce estate taxes or if you want to maintain control of your property after you die. Please contact our office to discuss what option makes the most sense for you. Generally, a durable power of attorney appoints an individual to handle your financial affairs during a time when you are impaired or unavailable. You, as the principal, appoint an “agent” or “attorney in fact” to handle your affairs on your behalf. By executing a power of attorney, generally, there is no need to involve the Probate Court to appoint someone to handle these affairs or to supervise your attorney-in-fact’s actions. This saves your loved ones unnecessary delay, money and added stress. It also allows you, not the Court, to choose the individual who will be handling your affairs. Your attorney-in-fact will act on your behalf to handle your affairs as authorized by the language in the power of attorney document. Those powers can include selling property, paying bills, making deposits, handling insurance and other paperwork. The powers you decide to give to your attorney-in-fact can be broad, allowing him or her to handle a wide range of activities involving your finances and property. The power of attorney can also be limited to a few specifically enumerated actions. Each power of attorney should be tailored to a client’s specific needs. Although your attorney-in-fact may be given significant powers, that individual cannot alter your estate planning documents or make health care decisions. Your attorney-in-fact will also be required to sign an acknowledgment whereby he or she affirms his or her duties to you under the power of attorney and acknowledges potential liability for mishandling your affairs. It is a good idea to appoint a successor attorney-in-fact in the event that your first choice is not available or is unwilling to serve. You may also select co-agents to act on your behalf. You can require that these individuals act jointly or independently. You will want to think carefully before choosing your attorney-in-fact. To avoid potential conflict, it may be a good idea to choose someone who does not stand to receive anything upon your death. However, in most cases, family members are appointed. If you choose to appoint a family member, you will want to examine the individual’s relationship with other family members to see if your appointment would cause any discord. You will also want your attorney-in-fact to live close to you if possible. A durable power of attorney operates during your lifetime and remains in effect even after you become incapacitated. The attorney-in-fact can act on your behalf either upon your execution of the document or upon your disability. While most individuals choose to have the power of attorney be effective at the time of his or her disability, there may be circumstances, such as being out of the country, when an individual would prefer to have the document take immediate effect. When planning your for your future financial decisions, a durable power of attorney is an essential document. Our office can draft a document with your specific needs in mind. In conjunction with making sure your estate planning documents are up to date, you may also want to explore the below options for helping you plan for your future. It is a good idea to consult with a financial advisor at the time you develop your estate plan. It is important that you name a beneficiary on your retirement accounts, and that you update this beneficiary after a major life change (i.e. marriage, divorce). Naming a beneficiary will allow the funds in the account to be distributed to the beneficiary without the necessity of going through your estate. While it is a good idea to have a beneficiary on your bank accounts, you should think long and hard about adding a co-signor. It may seem easier to add a co-signor to your account than to prepare a durable power of attorney for purposes of handling banking transactions. However, if the co-signor’s assets for whatever reason are being examined or seized (i.e. delinquent debts, bankruptcy, divorce, etc.) the funds held in your account may be in jeopardy. You will want to periodically review your life insurance policy to make sure that your family’s current financial situation will be adequately addressed in the event of your passing. In addition to providing for a family that is dependent on your income, life insurance can also be used to cover any taxes associated with your estate or capital gains. Disability insurance benefits provide income to you in the event that you are unable to work, whether you are disabled for a short period of time or for the rest of your life. These benefits can help keep your estate intact. Nursing homes, assisted-living facilities and other long term care options are quite costly. In an effort to protect your estate and to be able to provide for your loved ones upon your passing, it may be a good idea to purchase long term care insurance.